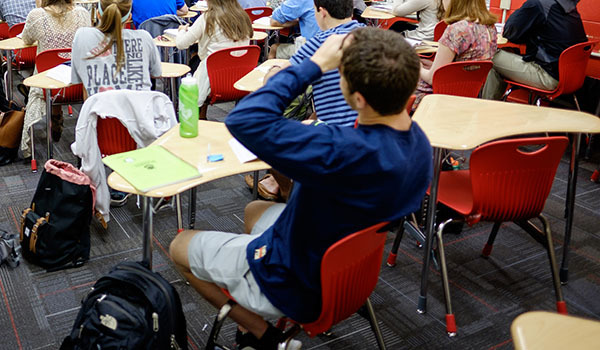 The University’s Learning Spaces Committee is hosting a demonstration of classroom furniture in Worrell Professional Center (Room 0173) from Monday, June 18 through Friday, June 29. The room will be open weekdays from 8:30 a.m. to 5 p.m. Representatives from Hayden Design will be available on Tuesday, Wednesday and Thursday each week from 2 to 5 p.m. to answer questions. Faculty and staff feedback is critical in helping the Learning Spaces Committee identify three to four design packages to establish standard classroom design options. Please complete the feedback form at the demonstration and/or feel free to contact Brent Babb, assistant director of IT Infrastructure at Wake Forest, with questions and feedback (babbbs@nullwfu.edu).